The presence of the Dutch in Mauritius dates back to the year 1598. It was by a sheer mishap that they reached here. Mauritius was not on their itinerary while they were sailing to the East Indies. Fate, through the play of a severe tempest, drove them to the shore of the island. On May 1, 1598 Admiral Cornelius Van Neck and Vice-Admiral Wybrandt van Warwyck commanding eight Dutch ships left Texel in the North Sea for the Indian Ocean. From there they were to sail to Bantam (a major seaport in Indonesia at that time) to load cargoes of precious exotic products for trading in Europe. Roughly three months after leaving Texel they rounded the Cape of Good Hope and sailed towards Madagascar. The fleet, while navigating off the eastern coast of Sainte-Marie island, went into the turmoil of a violent storm. It was on August 28, 1598. The group of vessels was disbanded. On September 17, five out of the eight ships - the Amsterdam, the Zeeland, the Geldria, the Utrecht and the Vriesland managed to reach the south-eastern part of Mauritius. Vice-Admiral van Warwyck was on board the Amsterdam. He ordered two of his officers, Hans Hendricksz Bower and Hendrick Dircsz Jolinck, to look for a proper shelter to anchor the ships. They discovered the present day bay of Grand Port (which the Dutch named Warwyck Haven.) 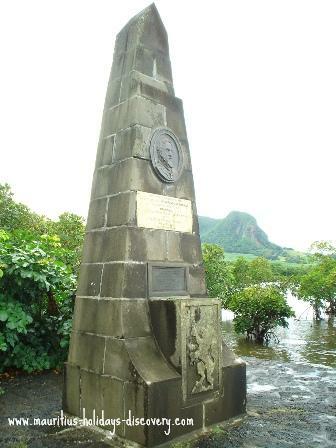 The landing of Bower, Jolinck and their crew marked the arrival of the first Dutch in Mauritius. 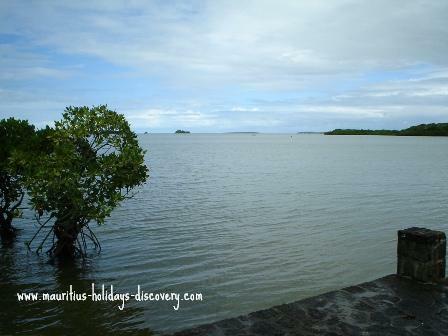 (Bay of Grand Port, Mauritius - in the vicinity of which the actual Frederik Hendrik Museum is located). On September 20, all ships were moored in the bay and most of the crew landed. Mauritius was still uninhabited and the Dutch found the island a dreamlike land and an extremely safe stopover for Dutch ships navigating across the Indian Ocean. On that date, in honour of Maurice of Nassau, Prince of Orange and stadtholder of the United Provinces of the Netherlands, the island was named "Mauritius". the Dutch at the bay of Grand Port, Mauritius. Various places were given the names of important leaders of the fleet. Present day Ile aux Aigrettes (Aigrettes islet) was named Eylandt Heemskerk, in honour of Jacob van Heemskerk, a merchant on the Geldria. Cornelius Jansz Fortuyn's name, captain of the Amsterdam, was given to another islet which is known today as Ile de la Passe. At dawn on October 2, 1598 the fleet left Mauritius, which was then officially a Dutch island, for Bantam. For the next forty years Mauritius remained uninhabited; only to be visited by ships from Dutch provinces and that of other nationalities for fresh supplies and crew rest. The colonisation of Mauritius by the Dutch started in 1638.